The American Hosta Growers Association is a trade organization for nurseries that specialize in the growing and sale of hostas. Its members include producers of hosta liners, wholesale landscape nurseries, wholesale and retail mail-order hosta nurseries, and hosta specialty nurseries that feature garden displays and local retail sales. A few of its purposes are to foster interest in hostas through marketing and educational programs, disseminate information on cultural practices and pest problems of hostas, and help to standardize hosta nomenclature. 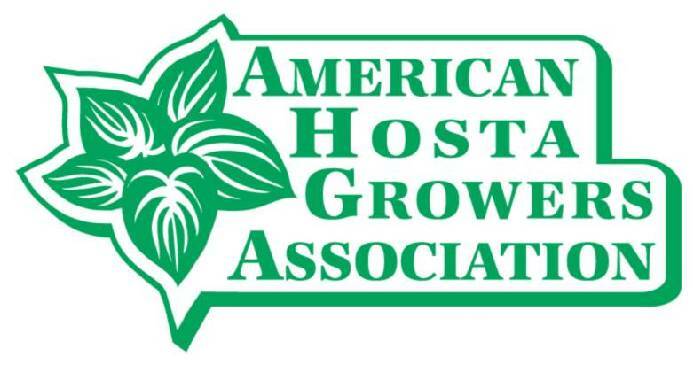 Being a member of the American Hosta Growers Association entitles you to many benefits. First, you will receive the AHGA Newsletter, which is published 3-4 times a year. We also compile both a Retail and a Wholesale Source List, on which you can choose to be included. We offer a free link from our AHGA website, www.HostaGrowers.org, to each nursery on the source lists as well as additional paid advertising space. Every year the members get to nominate and vote for the AHGA Hosta of the Year. You will also get to participate in the annual Nurseryman’s Field Day held in conjunction with the annual American Hosta Society convention. To be eligible for membership in this trade organization your nursery must have a State Sales Tax number or equivalent registration number and be certified and inspected by your State Department of Agriculture. It is also encouraged but not required that you are a member of the American Hosta Society. Membership dues are currently $35.00 per year or three years for $100.00. of Green Hill Farm (2015).